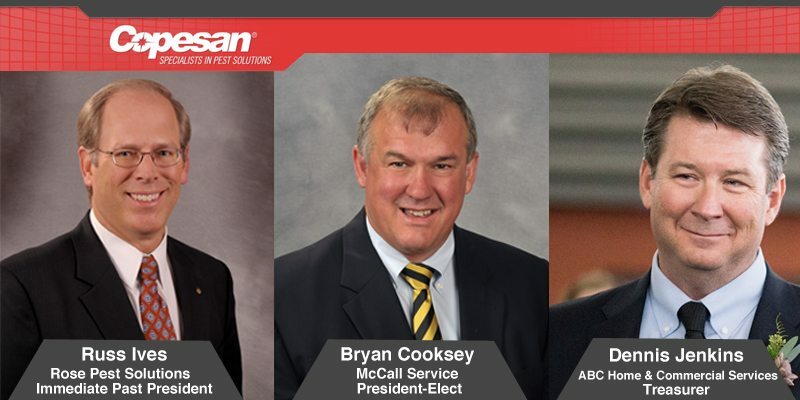 We’re proud to announce that several representatives from our local service provider network have been elected to the National Pest Management Association‘s (NPMA) Board of Directors. Russ Ives, Rose Pest Solutions, will serve as Immediate Past President. Bryan Cooksey, McCall Service, will serve as President-Elect. Dennis Jenkins, ABC Home & Commercial Services-Dallas/Ft. Worth, will serve as Treasurer. Congratulations to all of the recently elected Directors! Thank you for your continued dedication to the pest management industry!